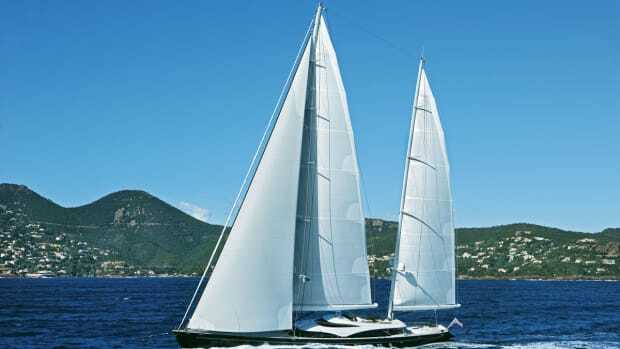 Turquoise builds a yacht for one family that ends up being ideal for another. 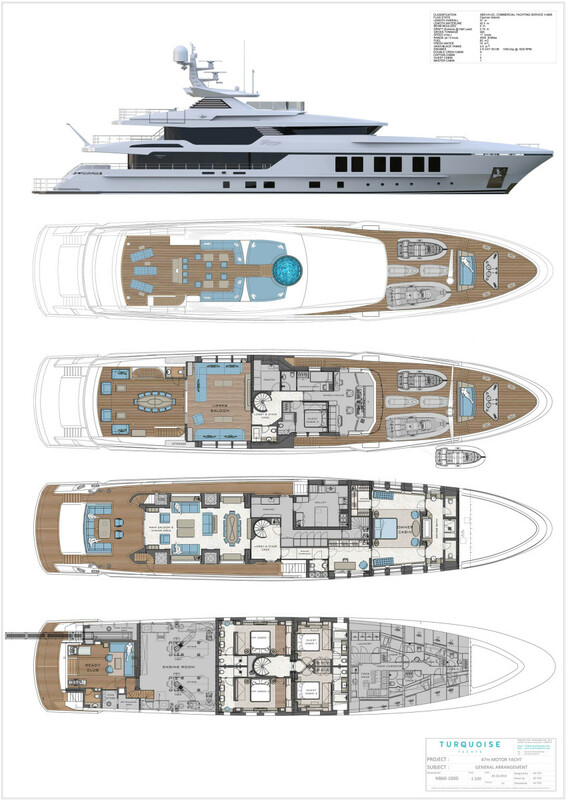 Can one family’s dream yacht translate into a dream yacht for another? 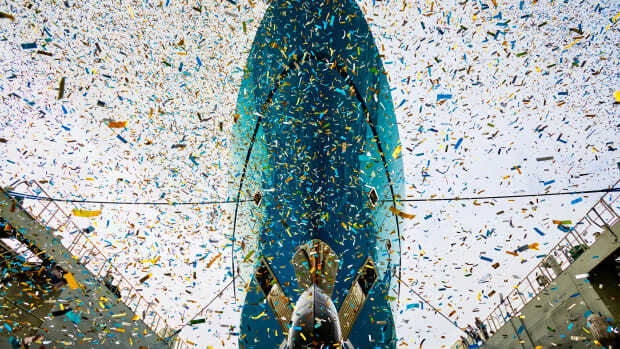 If the yacht has pedigree and all the right ingredients, then the answer is yes. Razan, now named ROE, is a case in point. 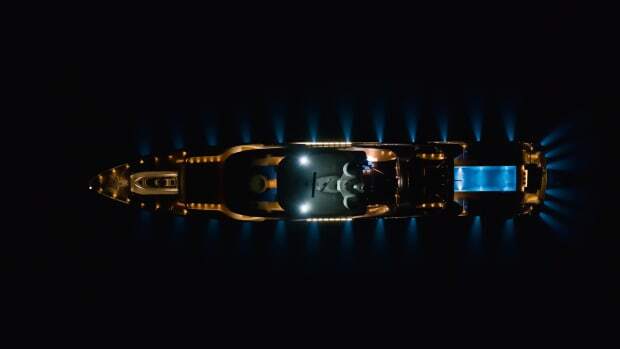 The 154-foot (47-meter) Turquoise launched in 2017, made her world debut at the Cannes Yachting Festival in September and garnered the attention of a gentleman who was not actually in the market for a yacht of her nature. 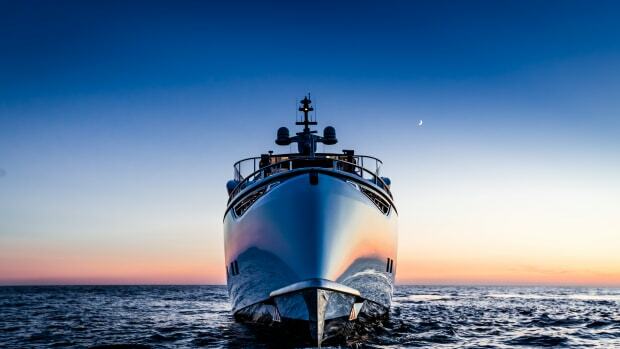 Once aboard, he became so smitten that he made a repeat visit at the Monaco Yacht Show. 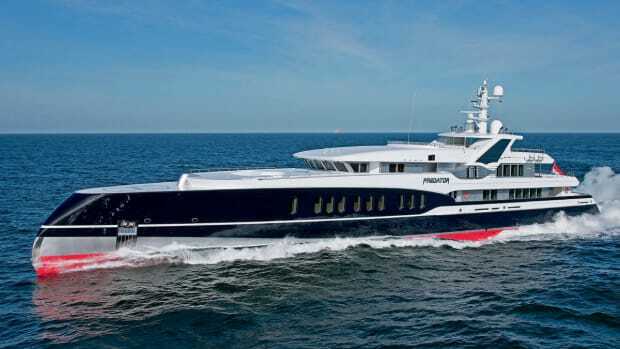 Subsequently, a deal was struck for the turnkey yacht. 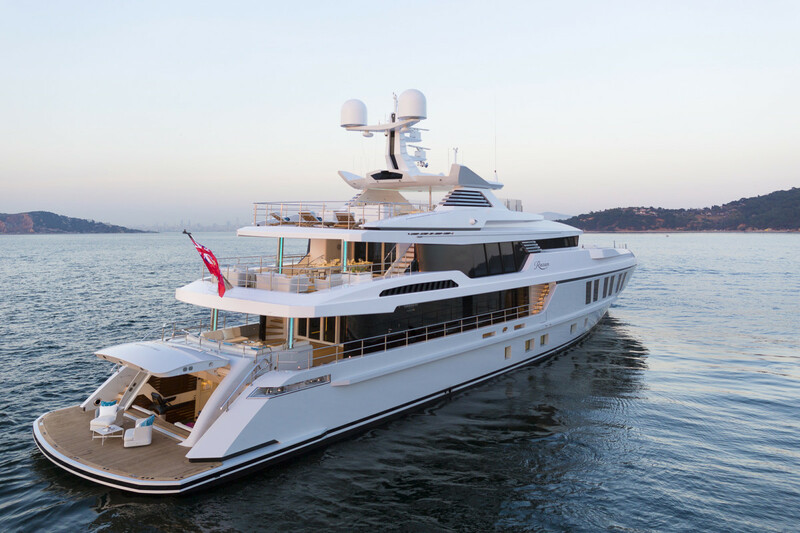 The sale was an important milestone for Istanbul-based Turquoise Yachts, which was founded in 1997 as Proteksan-Turquoise and delivered 20 superyachts from 131 feet to 236 feet (40 meters to 72 meters). 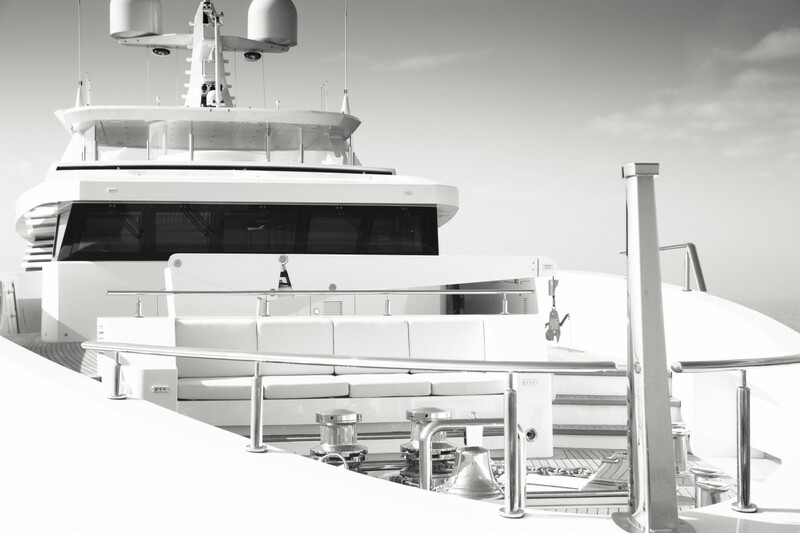 In 2014, MB Holding Company became the majority shareholder, changed the company’s name to Turquoise Yachts and invested in new and expanded facilities. Mehmet Karabeyoglu, one of the founders, remained as CEO. 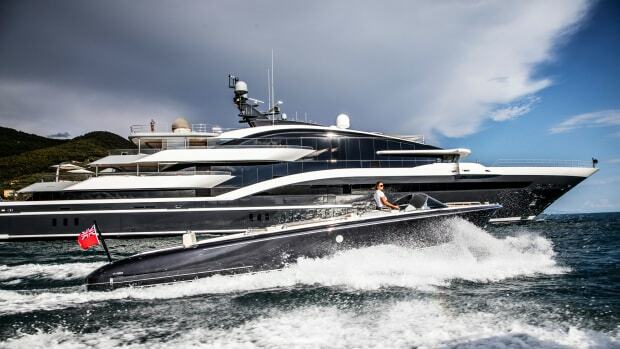 The restructured company then acquired an in-build hull and superstructure from an Italian yard, moved the pieces to Turkey and continued the build as the first Turquoise project. 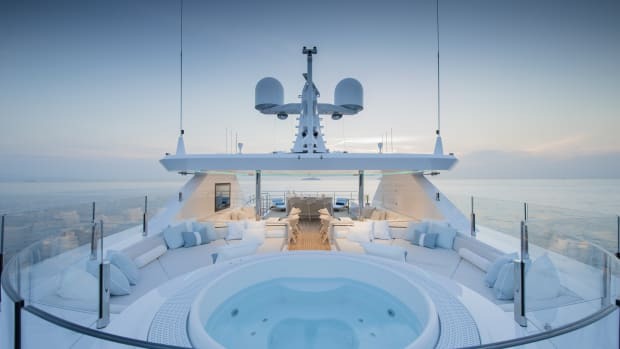 As Razan progressed at the yard, Mohammed al Barwani, chairman of MB Holding, became excited about keeping her as his personal yacht, at least until a buyer could be found. (Razan is the name of his eldest grandchild.) 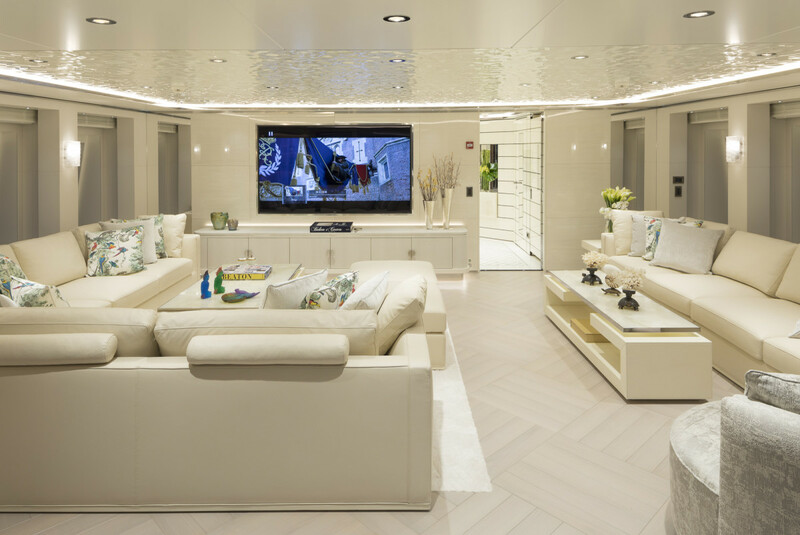 Barwani and his wife, Sharifa, were involved in the yacht’s redesign, layout and décor. They wanted natural light; a soothing, uncluttered feel; and a neutral palette that was simultaneously rich. 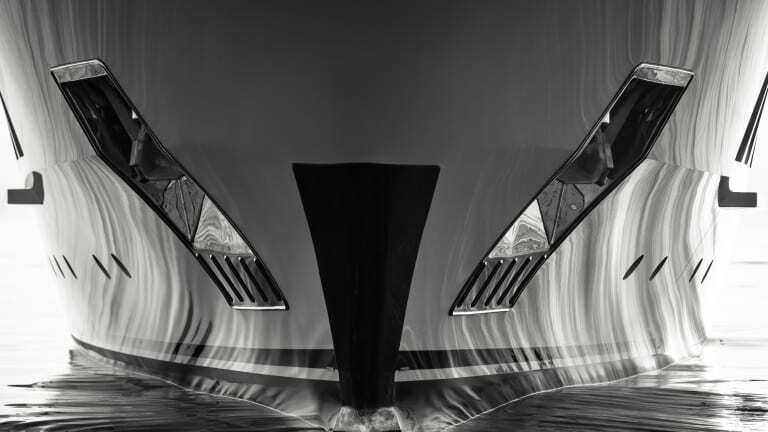 Craftsmanship aboard the yacht is exemplary. Marble, leather, mother-of-pearl and dark woods alternate with light, white furniture, plush Turkish carpets and enhanced lighting to create a quiet elegance. 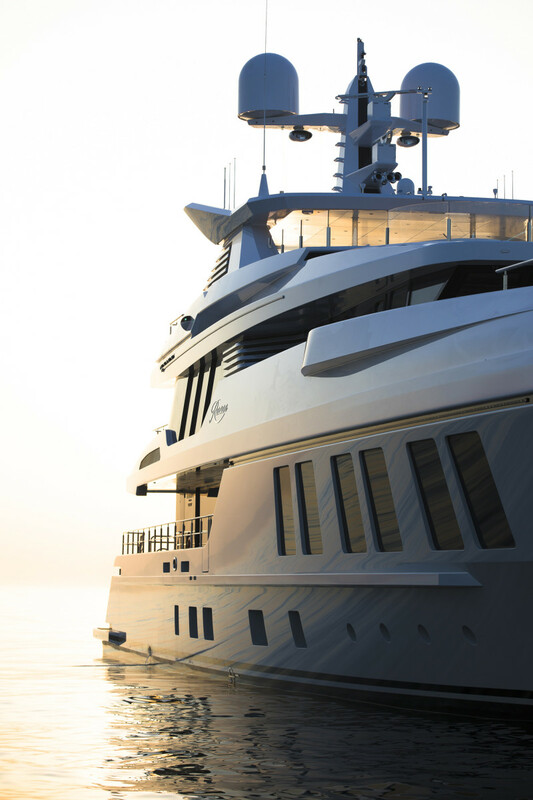 During the build, the yacht increased in length from 151 feet (46 meters) to 154 feet (47 meters). The Barwanis cruise with their extended family, so an overriding parameter of their design brief was versatile sleeping areas and common spaces. Soon after Razan’s launch, the Barwanis took a family cruise through the south Turkish seas, Greece’s Aegean Islands, the Corinth Canal, Greece’s Ionian Islands and the Croatian coast. By day, the family used the beach club for water sports, with the sundeck and hot tub beckoning during late afternoons for socializing. Most of the time, they had dinner served alfresco on the upper deck aft. The sky lounge with an 85-inch TV became a movie theater in the evenings. The sale was bittersweet for him, but selling was part of the game plan from the start. 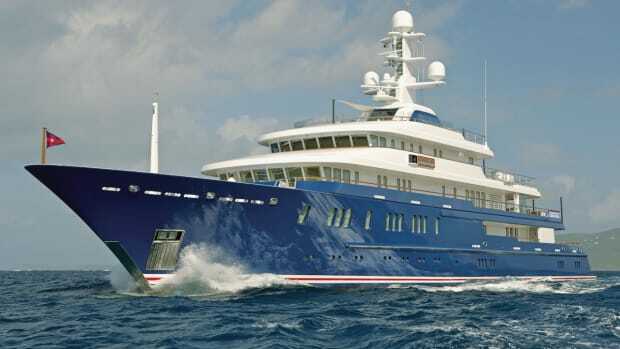 The new owner also has an extended family, and plans to add his own signature to the yacht’s style. The nameplates have been changed to ROE. Look for her in the Mediterranean this summer. 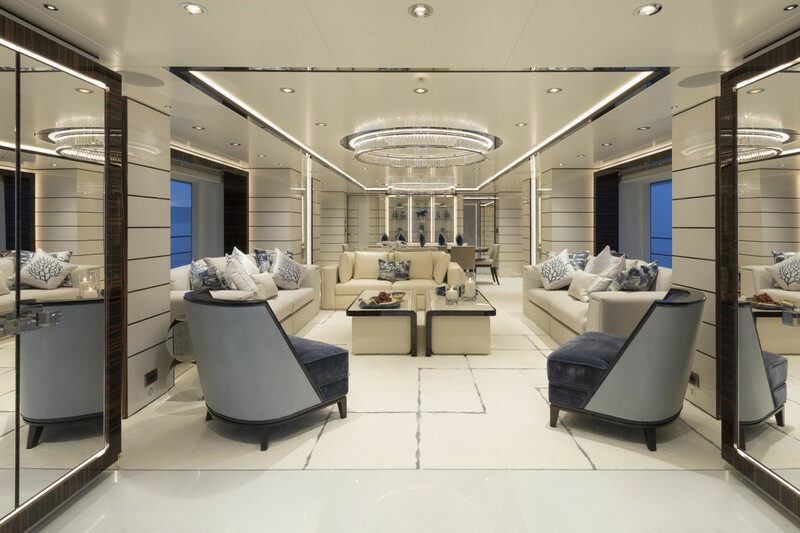 ROE’s salon has white-leather and white-lacquer-panel walls designed in a geometric rhythm that is used throughout the yacht. The horizontal panels, with thin, stainless steel inserts, create a sense of spaciousness and continuity. Three sofas and two upholstered chairs form a convivial grouping. The recessed overhead adds volume. High-gloss panels with strip lighting in the recessed margins, along with a central chandelier, add reflective light. Accentuated with dark-wood frames, the salon windows bring the outside in. The forward-facing bed in the master stateroom has a leather headboard with a metallic lustre. Armani/Casa fabrics adorn chic screens behind the bed. Bulkheads are lacquered wood trimmed with the same horizontal stainless steel accents as in the salon. Swarovski detailing overhead adds shimmer and light, and a blue crystal panel abaft a freestanding onyx pedestal sink creates a dramatic contrast in the white marble bathroom. 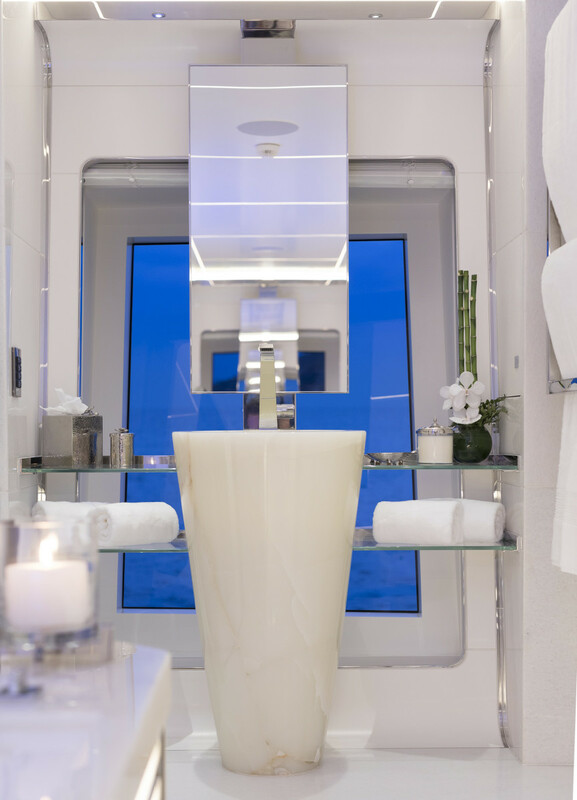 Full-height windows in the owner’s stateroom, as well as in the sky lounge, offer extraordinary vistas. The lounge has low-lying leather sofas, a plush white silk carpet, and a light ash parquet floor. The monochromatic palette creates a sense of spaciousness. The lower deck has two VIP staterooms amidships with athwartships beds. 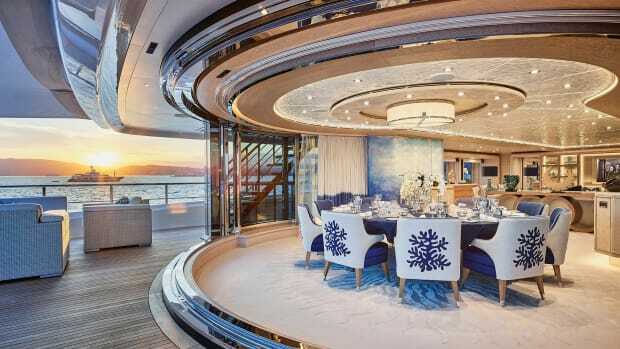 Those staterooms are white with coral accents, while the two guest staterooms are white with blue accents. Each belowdecks stateroom has Pullmans. A sixth stateroom is on the bridge deck. 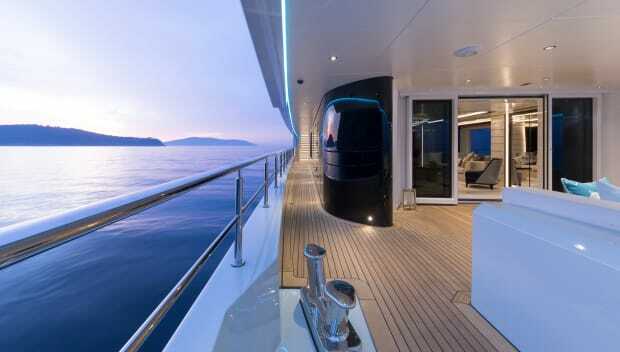 To accommodate family fun, the yacht has a beach club with a swim platform, a dive area, a sauna, a gym and a day head. 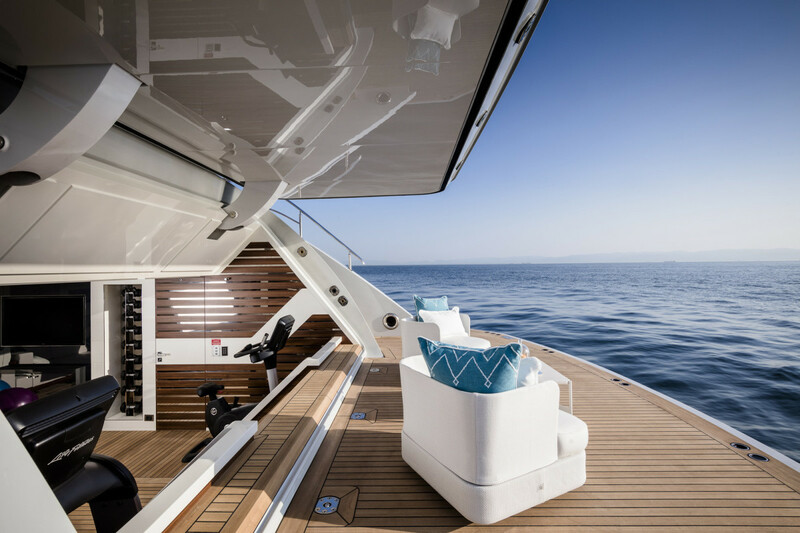 The foredeck stows personal watercraft and other toys, and has a forward-facing settee for relaxation. 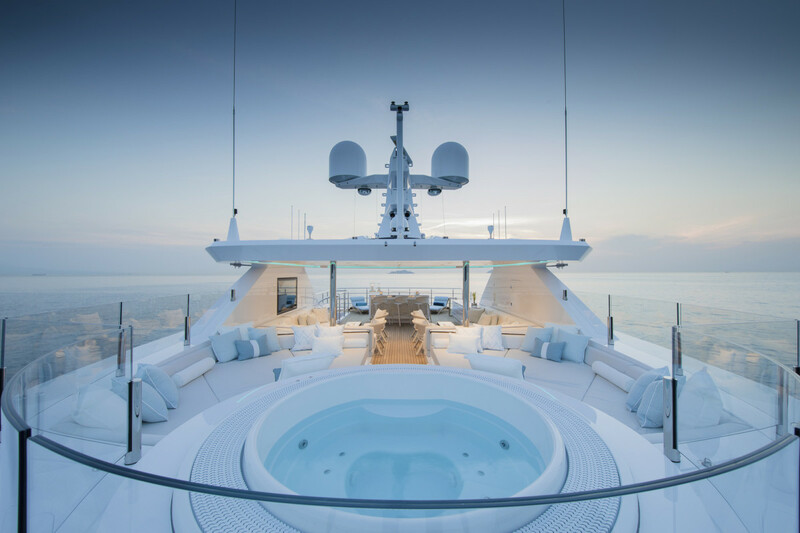 The sundeck has a spa tub, a bar and lounges.